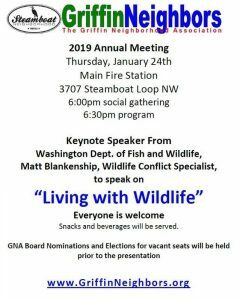 The Annual Community Meeting of the Griffin Neighborhood Association will be held on Thursday, January 24th. 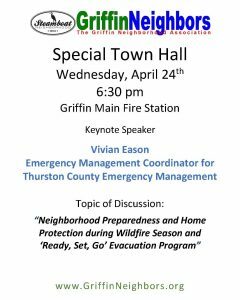 This meeting is at the Griffin Fire Department Headquarters. Doors will open at 6:00 PM for a half-hour of socializing. Snacks and beverages will be provided and local non-profit organizations have been invited to set up at tables within the meeting room. 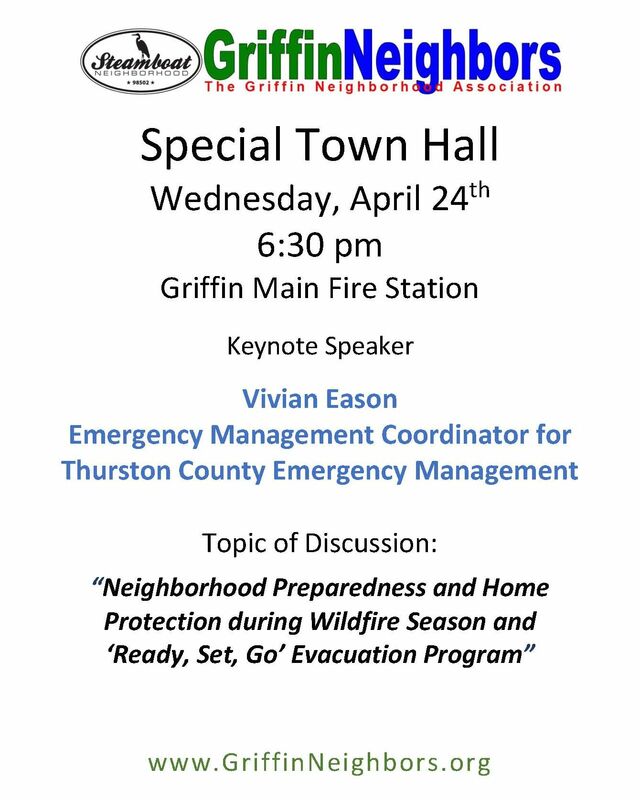 This is a nice opportunity to meet with neighbors and catch up on what’s happening in the Griffin area. The formal program begins at 6:30 PM. 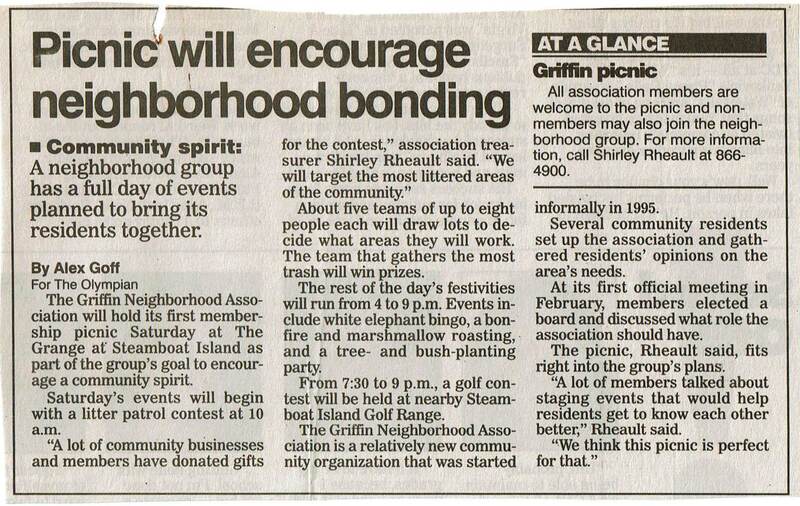 There will be a brief business meeting of the Griffin Neighborhood Association. This includes nominations and voting for half the positions on the Board of the Association. The Bylaws of the GNA provide for a Board of between 10 and 17 members in size. Folks owning property or residing within the Griffin School District are eligible to serve on the Board and each year about half the Board positions come up for election. Please consider this your invitation to join our Board. If you or someone you know are interested in serving on the Board of the GNA, this link to the Board Member FAQ (frequently asked questions) may answer some questions about what it means to work on the Board. 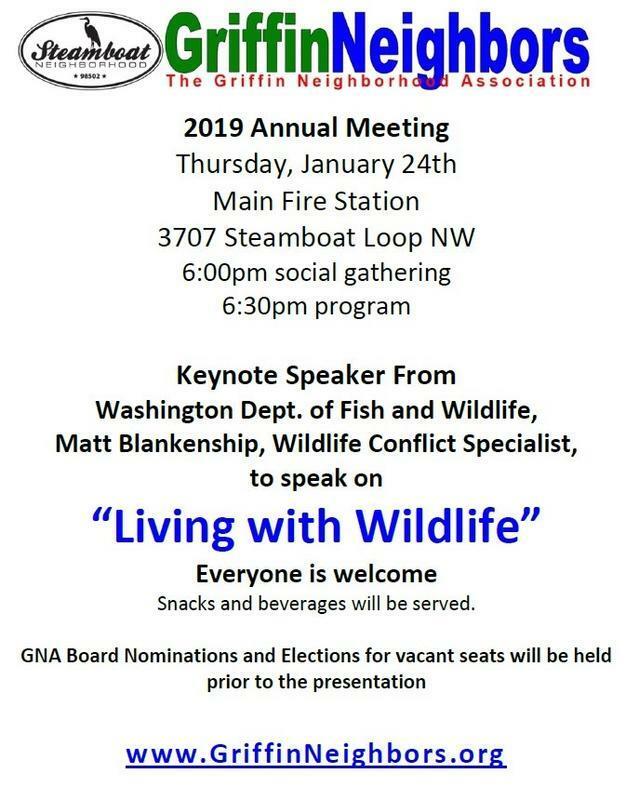 This year’s keynote speaker is Matt Blankenship from the Washington State Department of Fish & Wildlife. 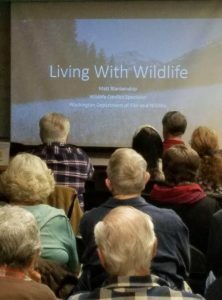 Mr. Blankenship is a “wildlife conflict specialist” and he will speak on the topic of “Living With Wildlife.” In our rural environment, this is a topic sure to be of interest to all of us! 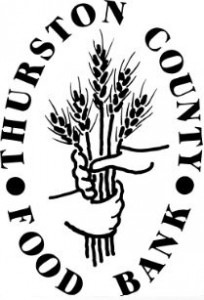 If you represent a local non-profit organization and would like to host a table at the Community Meeting, please email Becky at furacres@gmail.com. 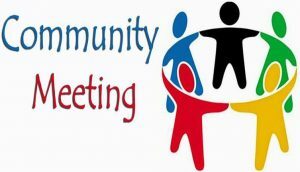 We look forward to seeing you at this year’s Community Meeting! You are invited to join us this Sunday, July 30, for a community picnic at the Prosperity Grange and Tin Cup Golf Range! 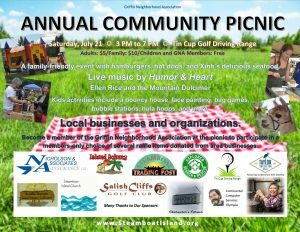 There will be plenty of complimentary food, a showcase of local organizations and businesses, animals and activities for families, and a special musical guest. An illness prevents the Olympia duo, “Austin Radio“, from appearing at this year’s picnic. Instead, musicians Roger & Deb Hamilton will perform. Roger Hamilton crafts fine, handmade guitars at Hamilton Guitars in Rochester. Contact Roger at (253) 722-3442 or rahguitars@gmail.com for more information. You won’t want to miss the delicious seafood dishes served by Xinh Dwelley, proprietor of the fabled Xinh’s Crab & Oyster House. 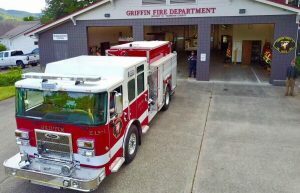 The Griffin Fire Department will hold a benefit car wash, this same day. Please come on by and get your car or truck washed, for a good cause. 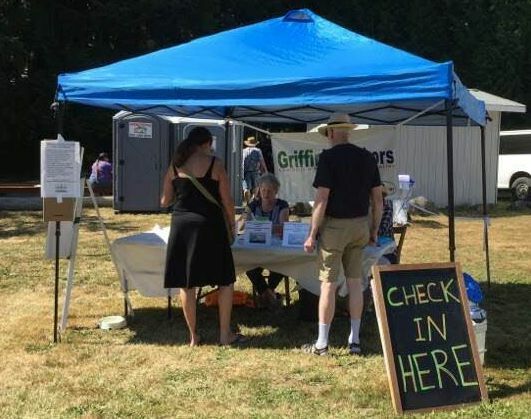 If you are a new member who joins the Griffin Neighborhood Association, at the picnic, your name will be entered into a drawing to win a $25 gift certificate donated by Character’s Corner. The Olympia Host Lions Club are raffling off a 40-pound box of fresh fuji apples, to be delivered in October. Make sure you stop by their table to get entered into the raffle. 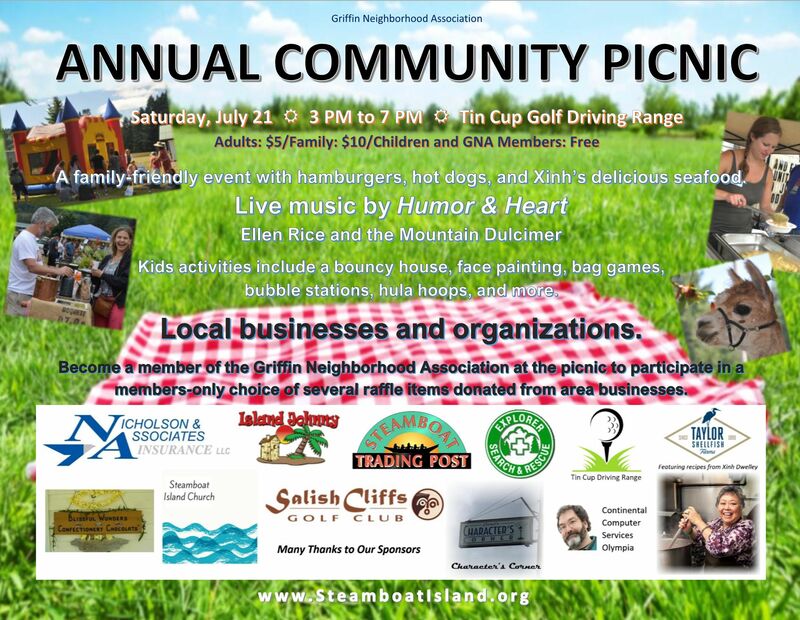 Bring your family and visit with your neighbors, enjoy a delicious meal, and listen to the sounds of Austin Radio at this free community event. 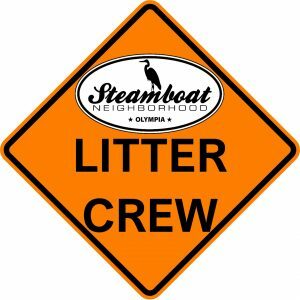 Click to download a 2-part flyer; give one to a neighbor! You are invited to join us for our Annual Community Meeting on Thursday, January 26th. The evening begins with a half-hour for socializing and speaking with representatives of local organizations present at the event. Local elected officials, too, are expected to attend. The evening’s program begins with a brief business meeting. This includes an update on this year’s activities of the GNA. 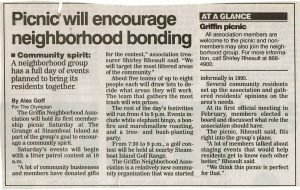 There will also be nominations and an election of members of the Griffin Neighborhood Association Board of Directors. Voting is open only to current members of the Association; now is a great time to renew your membership online or at the meeting. 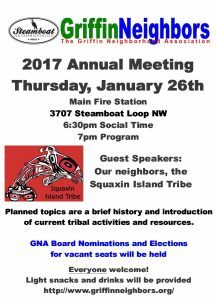 The featured topic of this year’s meeting is by Rhonda Foster, Director of Cultural Resources for the Squaxin Island Tribe, and Joseph Peters, Natural Resources Policy Representative. Their presentation, An Introduction to Our Neighbors: A History and Activities of the Squaxin Island Tribe, will introduce you to the Squaxin Island Tribe, also known as the People of the Water. The presentation may include a description of some of the annual cultural events in which the Tribe participates – the First Salmon Ceremony, the Canoe Journey, and others – and the significance of those. Foster and Peters may also talk about the health and sustainability of the Tribe’s fishery programs, the Squaxin Island Museum, and other areas of interest. 6:30pm: Join us for a half-hour of socializing. The program begins at 7:00pm.